The engineer who conceived the PlayStation, Ken Kutaragi, talked to Richard Taylor about the extraordinary development of the PlayStation brand. 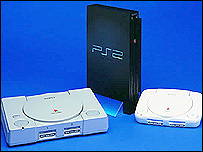 It is difficult for today's so-called PlayStation generation to imagine life without the console and all its offspring. Though there were others before it, the PlayStation was pivotal to the adoption of gaming as part of mainstream culture, a watershed moment in the brief history of gaming. Strange to think, then, that the project was very nearly stillborn. The initial collaboration with Nintendo fell apart, and Sony was left pondering whether or not to resurrect it. 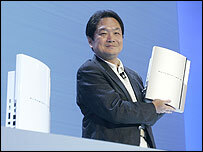 Ken Kutaragi was the engineer at Sony behind the venture. He told Click Online he faced enormous internal resistance to the original PlayStation project: 99% of senior execs were against the idea. But, convinced that shelving the project would damage both Sony and technology industry, he was determined to carry on the project at any cost, even in secret. "We tried so hard to convince Sony executives that the PlayStation project was worth pursuing, but found that it was extremely difficult without having a physical mock-up of the console. "Thankfully our team made a prototype very quickly, and everyone involved was convinced that the project would become a huge success in future. "We brought the prototypes with us to a presentation of senior executives, and outlined our dream. The then CEO, Mr Oga, gave us the green light so we were thoroughly delighted." Over the next few years the PlayStation took the world by storm, and by the time the PlayStation 2 (PS2) was released six years later, it was nothing short of a phenomenon. With an install base of more than 200 million consoles worldwide, Ken says it exceeded everyone's expectations. And today the dream of continuing that success is still very much alive. "I am an engineer and I like technology. I want to change the world with technology and I want to change our lives. The best way to realise it is, for us, PlayStation. "In the past, game machines used to use obsolete technologies. But we as engineers are always keen to introduce new technology to them. And with creators, we are very interested in creating totally new entertainment." 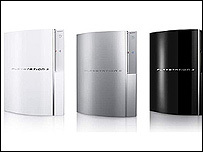 The PlayStation 3 (PS3) is slated for release next spring and Mr Kutaragi says it promises to usher in a whole new era of entertainment, though observers point to hype like this about the PS2, which never really materialised. What is clear is that the cell processor which drives the PS3 is extremely powerful. It has been called a supercomputer on a chip. But much depends on how it can be exploited by developers. The PS3 also faces stiff competition from the Xbox 360, and the jury is out on which will deliver the superior technology and ultimately the better games. Mr Kutaragi would not be drawn directly into commenting on the threat from Redmond, but he does believe that the power of the PlayStation is making PC makers think again. "While the computer itself is evolving significantly, it's also the case that new types of computers, like the PlayStation, are going into millions of homes all around the world. "Companies working on PCs worry that their markets may be reduced to being simply the office environment. That's why they're making various attempts to approaching the next big market - real-time computing and the home." So, does the creator of the PlayStation feel responsible for nurturing a whole generation of video game lovers? "I am really pleased to be occasionally called the father of the PlayStation. "But my dream, and the dream of all my team, hasn't finished. In fact we haven't achieved even half of what we're going to do. Click Online is broadcast on BBC News 24: Saturday at 2030, Sunday at 0430 and 1630, and on Monday at 0030. A short version is also shown on BBC Two as part of BBC Breakfast: Saturday at 0645. Also BBC World.